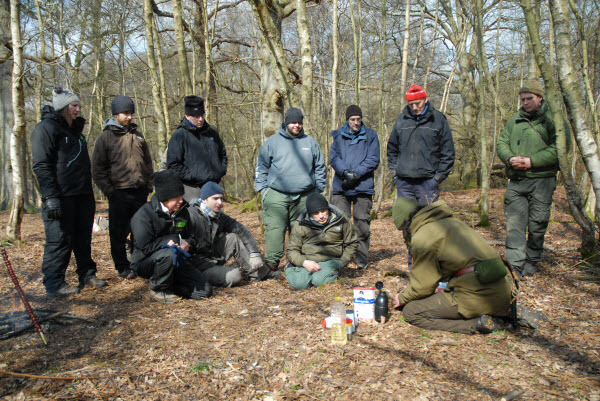 On Easter Monday I attended the Bushcraft and Survival Foundation Course run by Frontier Bushcraft having won a place in a competition Paul Kirtley had run on twitter. I arrived at the meet point stated on the joining instructions and sorted out my layers having shed some on my walk from the train station. It was here that I met Matthew who is the Editor of Scouting Magazine (and also took all the photos in this article), one of his first questions were “Are you Mark or Ray?” just before we formally introduced ourselves. A few moments later Paul and James arrived to lead us to the location of the course, it felt like a secret as the group set off. 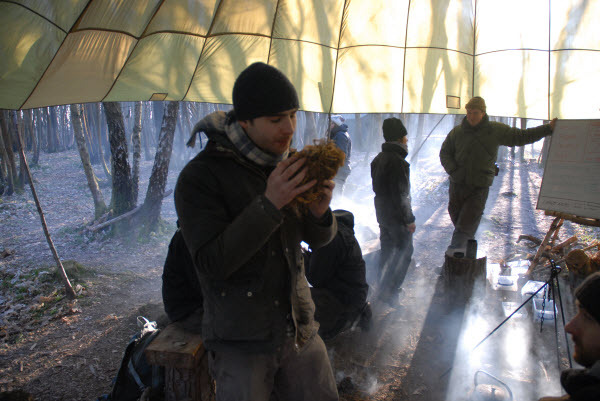 Once all the cars were parked we headed off on foot for the last 5-10 minutes to the base camp in the woods, we were greeted on our arrival by the smiling faces of the rest of the Frontier Team and a kettle on the fire. After we all made a brew and did our introductions we listened to Henry give the health and safety speech, Paul then explained what we would be covering throughout the day. This was followed by a tour of the area and an exercise that I was not expecting, I won’t say what happens here to keep it a surprise in the future. Only that it has made me think and change my preparedness approach. Next up was a session under the parachute on the priorities of survival, here Paul talked about recognising the events that can lead up to a survival situation, demonstrated his maths skills explaining search areas and pi. 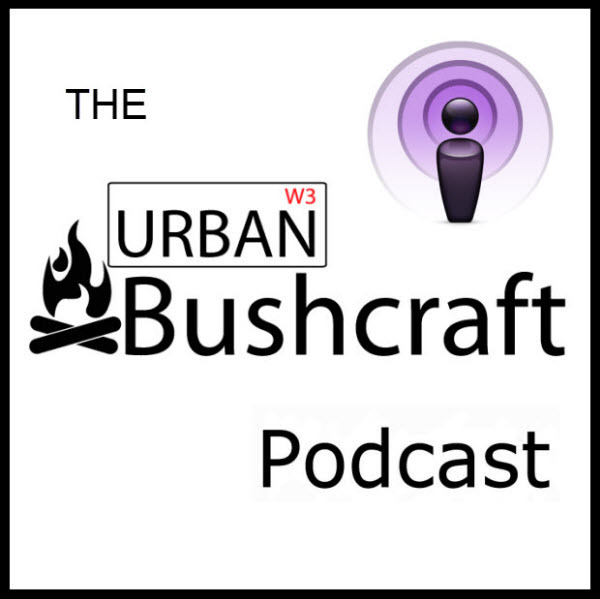 We were also taught two acronyms (STOP and PLAN) and the Golden Rule of Wilderness Travel: Tell a responsible person where you are going, the route you are taking and what time you expect to be back. No one will come looking for you if they do not know you are missing! 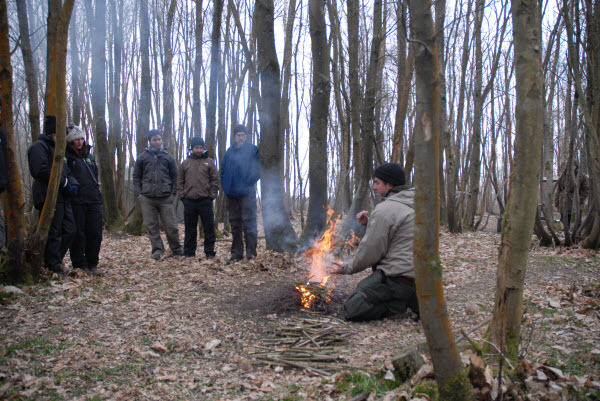 James then took the group off and demonstrated how to choose a safe location before preparing and lighting a fire using matches, I found it interesting as he talked about how he positions his body in relation to the wind and what he would do different in the rain or with other people in his group. Which was something I had never put much thought into, but will now consider the next time I come to light a fire. We was then shown how to get the inner bark from a sweet chestnut tree and prepare it to make a tinder bundle, as it was damp it allowed we also learnt ways of making the tinder dry and ready for use either by drying near an existing fire or by hanging it in a tree for the wind to dry it out like clothes on a line. So with our tinder drying out around the fire we split into groups and collected equipment from the stores, then went to pick up our food from the kitchen area. 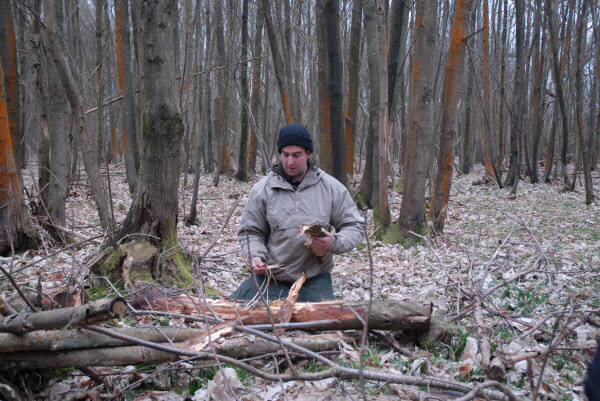 We then all headed off to an area next to a stream and selected a suitable area to make our own fires for cooking lunch, then prepared the site and collected our firewood. 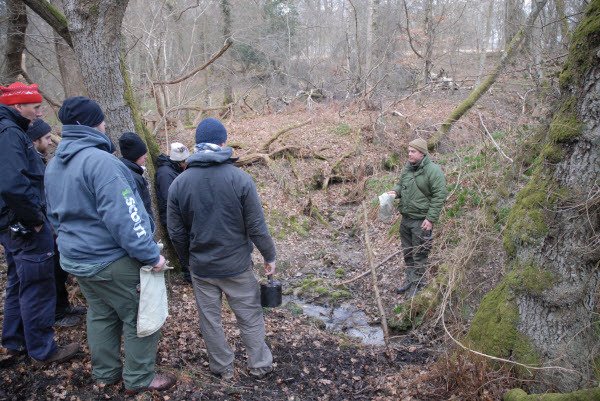 Once our fires were lit using the matches as taught by James earlier we gathered on the bank of the Stream to collect water and Paul went over the various methods of collecting, filtering and treating water to ensure it is safe. Lunch was chorizo, tomato and haloumi cheese, the chorizo went on a green stick skewer to grill over the embers and the rest went into a pan to be fried. To go with lunch we had a demonstration on making bread that can be cooked over the campfire from Alison, we then sat down with a brew to enjoy our creations and chatted with the team as they moved between the group checking on how we all got on. After we had eaten lunch Henry gave a demonstration on how to ensure we left no trace that we were there and once we did the same to our own fire sites we headed back up to the main camp area and washed up. 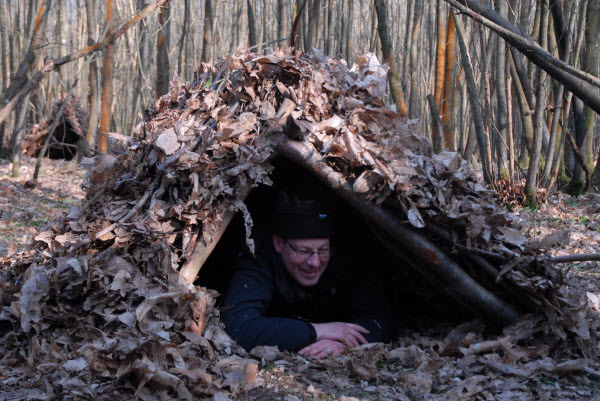 The next item we covered was shelters and to begin with we looked at some two-man shelters that were made a few days before by participants on the Bushcraft Essentials course, we then made two different types of shelter as a group. 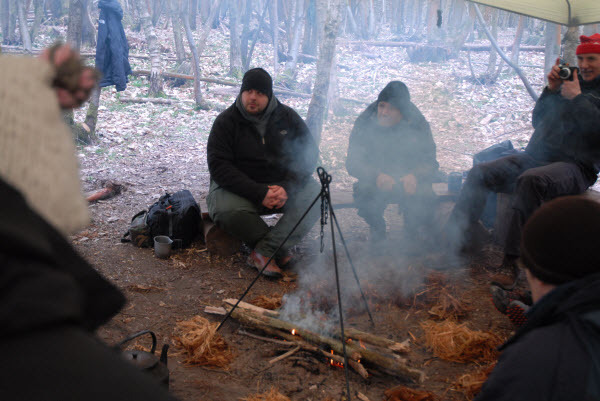 One for use with a fire and one for use without a fire, learning about where to build them, which direction to face them in relation to the prevailing wind and how we could make them visible in a survival situation. Now that our sweet chestnut inner bark bundles had dried out we started to separate the individual fibres to make the tinder bundles as fluffy as possible. 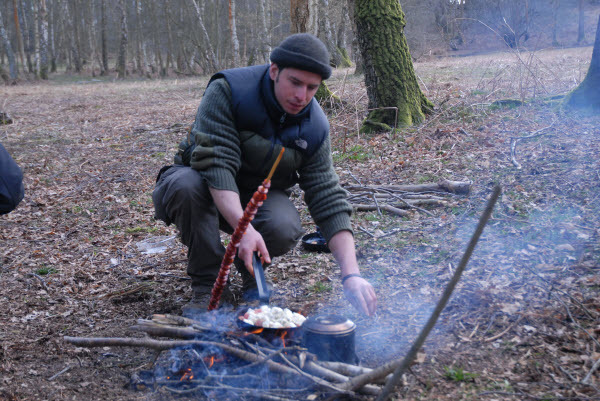 Paul then demonstrated how to use flint and steel along with char cloth to create an ember which was added to the tinder bundle and gently blown into flame. This is one of my favourite fire lighting methods and this time round I was able to get a glowing ember in my char cloth within seconds, which when added to my tinder bundle soon resulted in flame. At the beginning of the day as we went around doing our introductions I mentioned that I would like to work on my bow drill skills, while it is not normally part of the course there was a few moments spare and there was an extra bow drill from the course the day before so I was given a quick refresher and with Paul’s assistance I soon had a pile of black smoking powder. Once the ember had established itself it was added to a tinder bundle and blown into life. 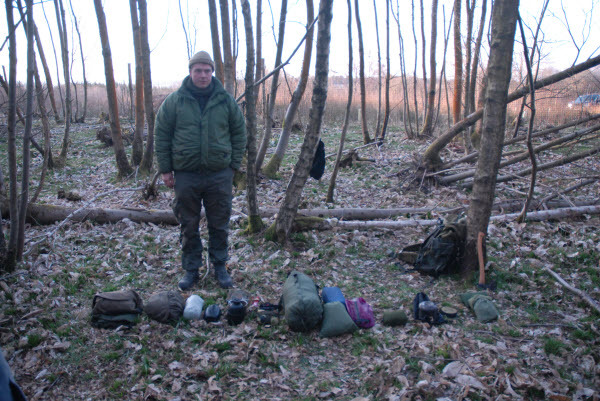 The course finished up with Paul showing us what kit he packs for a trip to the woods and how he packs it, he really does pack a kitchen sink. I think this is where I can improve the most from what the course covered as I always seem to take too much when I go camping. I thought that the day ran at the ideal pace, it was almost non-stop but I never felt rushed. 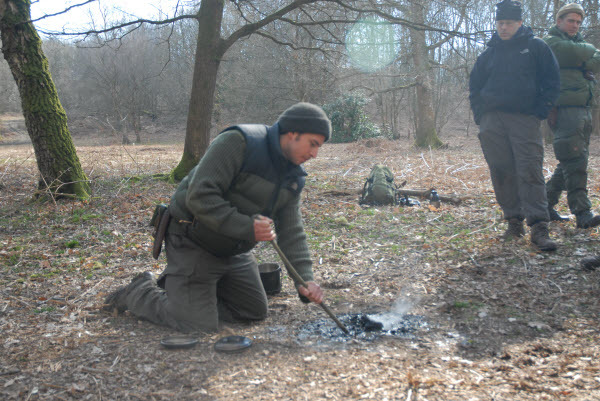 Everyone from Frontier is knowledgeable and friendly, I would recommend them to anyone who is considering booking onto a bushcraft or survival course and will be looking to get myself booked onto one of Frontier Bushcraft’s other courses in the future. 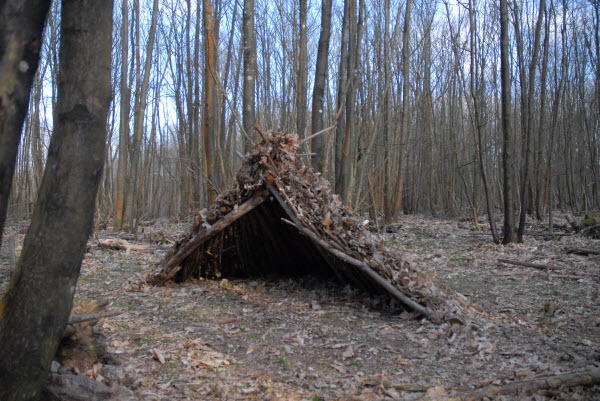 This entry was posted in Bushcraft Courses. Bookmark the permalink.